Place of Birth: Natural Dam, Arkansas, U.S.
Shay Mooney is an American singer and songwriter. 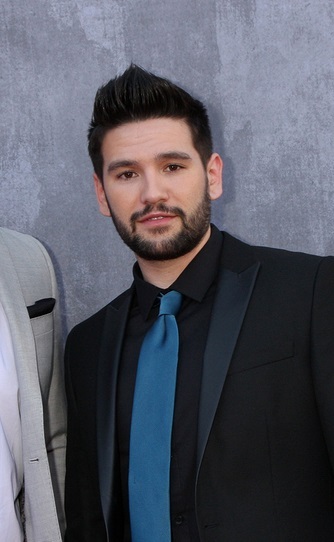 He is one half of the country duo Dan + Shay, along with Dan Smyers. Shay is the son of Cindy (Reed) and Rick Mooney. He is married to Hannah Billingsley, with whom he has a son. Shay’s paternal grandparents likely were Willie Dean Mooney (the son of parents surnamed Mooney and Hart) and Beverly Ann. Shay’s maternal grandfather was James Earl “Jim” Reed (the son of James Wallace Reed and Lena Audrey Comstock). Lena was the daughter of Hardy Tack Comstock and Emily Catherine Deese. Shay’s maternal grandmother was named Delores Barnes Nobles. His paternal grandparents were likely Willie Dean Mooney (the son of ? Mooney and ? Hart) and Beverly Ann.